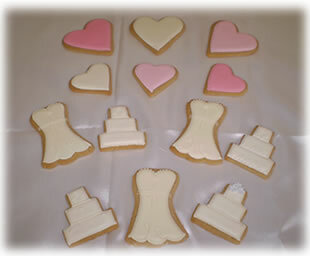 We at Patrington Bakery know how important it is to have everything perfect on your big day. 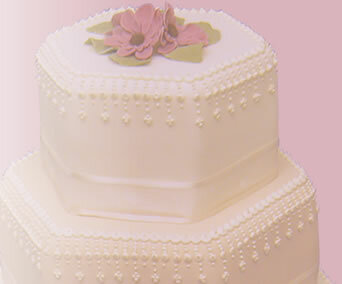 We specialise in creating both traditional and modern style wedding cakes. We offer a variety of cake types, including chocolate, all with your choice of fillings. Each cake is handmade and exquisitely decorated in sugar craft. You can choose from our portfolio or we can work to your personal design and colour scheme. For further information please contact info@patrington-bakery.co.uk or call 01964 631877 for a no obligation consultation. Please state your wedding date and venue when emailing, thank you. This is an elegant 3 tier wedding cake decorated with frills and small crystal tear drops. Sugared roses in a posy plus 2 loving teddies (optional). A romantic wedding cake with frills in different shades of pink and main icing in ivory can also be a 3 or 4 tier on a fruit cake base. 3 tier wedding cake 6" 8" 10" square is decorated with lilac ribbon and hand made flowers with an all over shimmering dust. A four tier wedding cake piped with shimmering pearl shapes. comes in any shape and size on a fruit cake base. 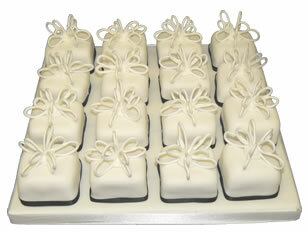 Individual Cakes are a modern alternative to the traditional wedding cake. Beautiful handmade fairy buns, bound to create a talking point at your wedding reception. Give your guests a personal cake. Ginger bread & short bread favours. All our biscuits can be personalised, in either shape or inscription. Wedding cakes, dresses, hearts, shoes, you name it!